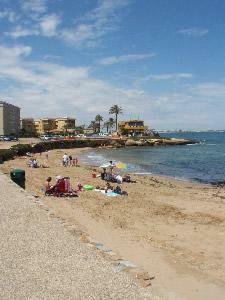 To the North, Punta Prima borders the cosmopolitan town of Torrevieja, 3 kms away, and has a number of beaches of the Orihuela Coast to the South. 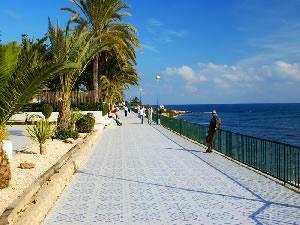 The beaches are just a stroll away with walkways all along the coastal area adjoining other coves such as La Zenia. Ideal for those who want to walk or cycle. 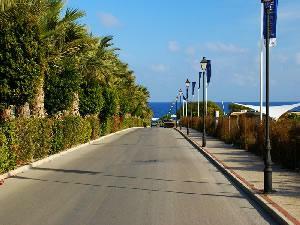 The area of Punta Prima has many bars, restaurants, supermarkets and other local shops and amenities. Pitch and Putt, Golf, Fishing, Boating, Go Karting, Cycling, Walking are just a few of the things to do on your stay. 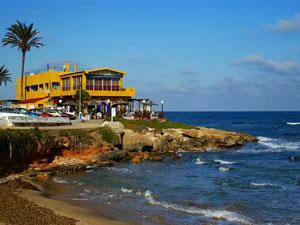 Just 100 meters away from the apartment is the small local sandy beach next to the superb Nautilus Restaurant. 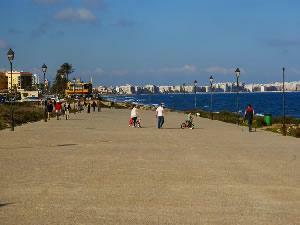 A five minute stroll away is the larger Punta Prima beach with its white sandy beach and nearby restaurant. Braseria Las Olas - Good food combined with an internet café. Restaurante Punta Prima - Excellent a la carte menu. Gelateria Italiana - Caters for Italian and German tastes. Puccini - Italian value for money. Great Tiramisu. Restaurante Chino Pekin - Extensive Chinese menu. 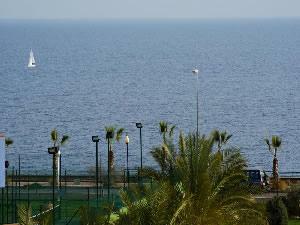 The Nautilus - Simple fair with stunning Mediterranean views. The new Zenia Boulevard is the largest shopping center in the province of Alicante. It is designed as a shopping city and has more than 160,000 square meters of total floor area, 150 shops and 5,000 free parking spaces. Shops include Auchan, Leroy Merlin, Decathlon, Norauto, Media Markt, Conforama, Primark and other well-known firms such as Mango, Zara , along with all the popular shops Inditex Group, which also come with its new store image. The vast majority of these stores are known for their good prices to be added to labels like Shana, C & A, Lefties, H & M , etc.. Moreover, the customer can also find exclusive shops like Guess, Swarovski, Astoria, Cortefiel with Pedro del Hierro, Via di Milano (with first class Italian firms), Nichi Seijo, etc. , and premises for activities ons, accessories, sports, home, health and beauty, and gift culture, services, restaurants, leisure ... . Visitors Zenia Boulevard is all you need and the most competitive prices: Price, Fashion & Leisure in single space. 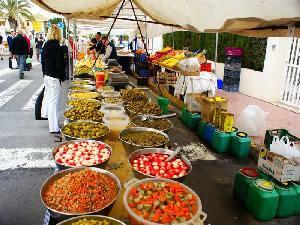 Zenia Boulevard represents a new concept in the Mall, is open and looks like a real Mediterranean city, with streets and squares where every day, customers will be surprised by performances and free events. 90% of the retail space is located on one floor, the first floor being devoted to the restoration and recreation, which are accessible by escalator or the spectacular panoramic elevators Zenia Boulevard offers. In this plant as well as find restaurants known as Lizarrán, Bite the Pasta, 100 Montaditos, Burger King, Kebab Express, Wok Center , etc, the children can enjoy our playground "Zenia Kids". So you know, if you want to live different experiences, have fun, enjoy a friendly atmosphere with friends or family, and also find all you need at the best price, do not hesitate to visit Zenia Boulevard.